Getting dentures can be a major life change for a lot of people. The transition to dentures can seem full of new information, and it is easy to get overloaded and bogged down in all the details about the process and upkeep. Today, we have compiled some of the most frequently asked questions to help you understand more about dentures and what they will mean for your life. If you have further questions, schedule an appointment with our dentist to get feedback specific to your situation. Unfortunately, the cost of dentures can vary widely. Denture construction, design, specifics of your mouth, procedures used by the dentist, geographic location, and dentist’s office overhead are all factors that play into your overall cost. Fortunately, your dentist should be able to give you a good idea about the cost of dentures through their office ahead of time, so you know what to expect. It is also important to check with your insurance to see if you have some type of coverage that will pay some or all of the cost of dentures. There are two basic types of dentures: complete and partial. Complete dentures are designed to replace the entire arch of teeth. Complete dentures are used when the patient no longer has natural teeth in place. 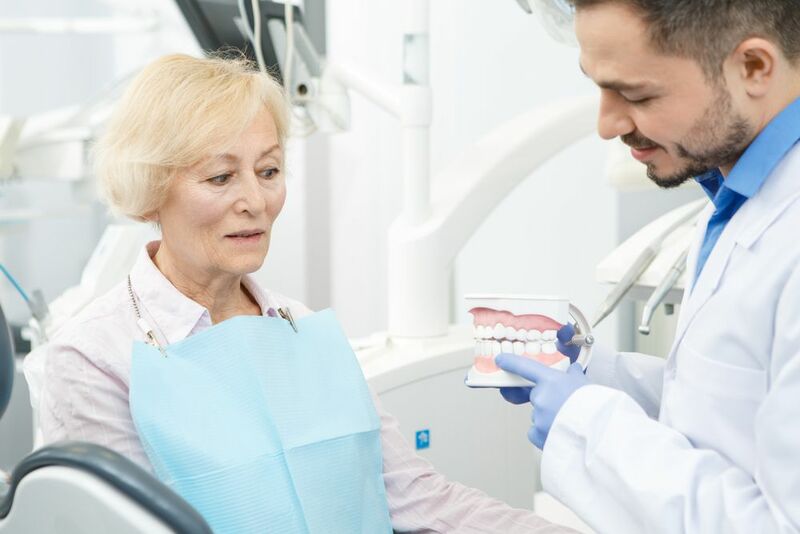 In order to be fitted for dentures, our dentist may need to extract the last teeth because they are no longer healthy and cannot be saved or restored. The other denture type is partial dentures. Partial dentures are used when there are still natural teeth in along the arch. These dentures are designed to fill in the gaps between the natural teeth to give you a complete smile. Sometimes, when patients have replaced their top arch of teeth at a different time than their lower arch, they find that the color of the dentures doesn’t match. Unfortunately, dentures cannot be whitened. The color of the denture is due to the dye that was put into the original plastic. If the appearance of the teeth is an issue, talk to our dentist about replacing them to make sure that your tooth color is consistent. Of course, staining can also prematurely age the appearance of your dentures, so in order to keep them bright, you can brush them with a denture toothbrush or soft toothbrush to clear away any material from the denture’s surface before it can stain. Can I Brush My Dentures? Yes, brushing your dentures can help to keep them clear of debris our buildup that naturally occurs in your mouth and on your natural teeth. However, you should not use a normal toothpaste on your dentures, but instead, use dishwashing liquid and water. Ensure that you thoroughly rinse your dentures and place them into the cleaning solution overnight. Some damage to your dentures may be repairable by our dentist. However, this depends largely on what type of damage, the location, and severity. If you notice that there is an issue with your dentures, schedule an appointment right away. If your dentist catches the problem early, you may be able to avoid replacing your dentures. Dentures are safe to sleep in, but it is preferred that you take them out. Removing your dentures at night allows your mouth to rest and relax after wearing your dentures all day. Additionally, you should use the nighttime to soak your dentures in their cleaning solution. If you are considering dentures, schedule an appointment with Today’s Family Dental at 813-370-1700. Preventing periodontal disease can be as easy as brushing your teeth twice a day - but it can also entail a few more tips. If you have any questions, please feel free to give Today's Family Dentist a call today. Dental inlays and onlays are commonly used to help restore and protect teeth that have been subjected to some damage, but not enough to require the use of a crown. This method helps to save and maintain more of the tooth that is still healthy. If the more of the tooth can be saved, it means better overall oral health, maintenance of the gums and underlying bone, and better natural tooth function. There can be a range of different things that we dislike about our smiles. Fortunately, cosmetic dentistry treatments make it possible to address any of them, enabling up to achieve the smile that we have always dreamed of. Are you new to wearing dentures? Today's Family Dental in Tampa FL has compiled a list of FAQs by patients with answers, such as "can I sleep in my dentures? ", "can I brush my dentures?" and more. Know more about some tips on what to do during dental emergencies. For more information, call us at 813-370-1700 today. Learn more about the benefits of getting invisalign and why it is superior to alternative orthodontic treatments. For more information, call 813-370-1700. Learn more about dental implants and how it is essential to take care of it. For more information, call 813-370-1700. Learn more about full and partial dentures and its advantages. For inquiries, call us at 813-370-1700. Know some guidelines and tips to easily recover from wisdom tooth extraction. For more details, contact us at 813-370-1700 today! Know how to take care of your invisalign clear aligners with these simple tips and guidelines. For more information, call 813-370-1700 today! Know what to expect before, during and after wisdom tooth removal. For more information, call 813-370-1700. Today's Family Dental provides tips for preventative care and protecting your smile this holiday season. 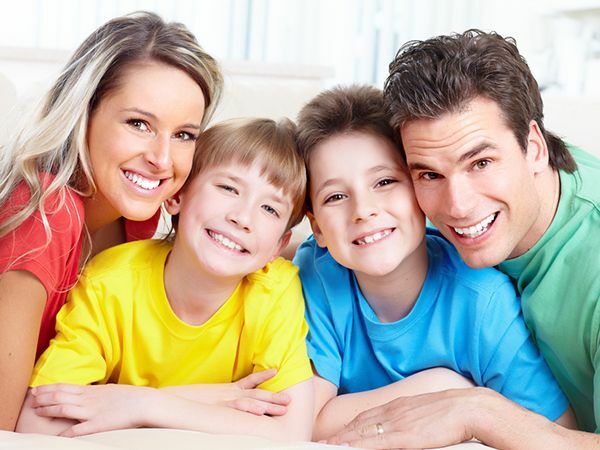 There are numerous health benefits associated with flossing, learn more from Today's Family Dentist in Tampa FL. Learn more about Invisalign Services and if you are a candidate for Invisalign Treatments.